While enjoying the 2012 Olympic games, and all the wonderful achievements, I became a little nostalgic and in serious need of inspiration. So, I decided to do some digging to find out what type of history was made on August 8. Immediately, I was reminded of two events: the 1984 Olympics Games in Los Angeles, which I watched with intensity, and the achievements of one Olympian in particular, Carl Lewis. On August 8, 1984, Lewis won his 3rd (200m) of 4 gold medals in the Summer Olympics. I remember being glued to my television, watching history unfold as my two daughters (then, ages 4 and 2) sat nearby, playing. I didn’t answer the phone or the door because at that moment, nothing was more spectacular than watching Carl cross that finish line. I didn’t want to miss a moment. I wanted to celebrate his victory because I know what it’s like to want something so bad, you can see it in front of you. Wow. He was fierce. Dedicated. And probably, at times felt very much alone. Sound familiar? 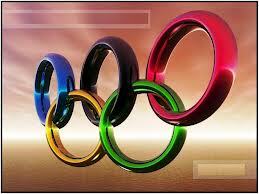 Every four years, I look forward to watching the Olympics. It’s a sort of “kindred spirit” period for me. Through the games I learn about people who know firsthand, what it means to sacrifice a life considered “normal” to pursue their destiny and their dreams. Many of these fantastic athletes negate friends, family, relationships, movies, books and yes, dessert, to stay the course that may lead them to Olympic gold, silver or bronze. If not for the Olympics, we may have never heard of the obstacles and challenges experienced by Olga Korbut, Nadia Comăneci, Mary Lou Retton, (also a 1984 winner), Katarina Witt, Shaun White, Usain Bolt, Michael Phelps, Rafael Nadal, Gabby Douglas, Sally Pearson and Florence Griffith Joyner (affectionately remembered as Flo Jo). While the 1984 Olympics in Los Angeles was filled with controversy and boycotts, it was still an inspiring and memorable event. And the issues surrounding the games, didn’t take away from the achievements of those who competed. In the end, it was still a testament to those athletes who—day in, and day out—pour their souls into their craft—their calling. To Carl Lewis and Olympians past and present, I salute you. Maybe one day we can shoot the breeze, talk shop. To writers enduring rejection letters, submitting your work, revising your manuscripts, and waiting to review your first or fiftieth galley, I applaud you. We’ll get there. This entry was posted in Life, Thoughts, Writing and tagged Carl Lewis, celebrities, entertainment, Gabrielle Douglas, life, manuscripts, Michael Phelps, obstacles, Olympian medalists, Olympics, sacrifice, sports, Thoughts, writers, Writing.